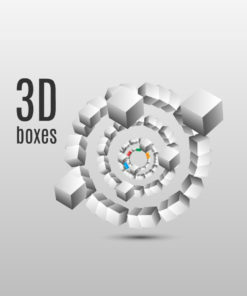 Prezi has 3D boxes made from cubes arranged like a spiral, an illustration where cube assembling from blocks. Above the illustration is a shadow which makes a feeling like 3D cubes are flowing on air. 3D Boxes are separate elements and can be moved, resized. Zoom in and quality of the box remains great because all shapes are vector based. 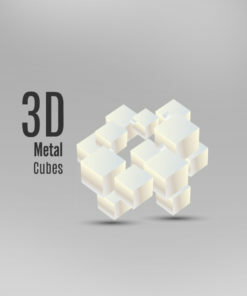 has images of 3D shapes made from cubes arranged one above the other, an illustration where cube assembling from blocks. Use 3D cubes to build the blocks for you need, you can move them around and create a unique concept. 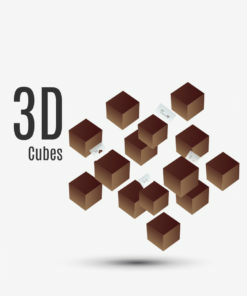 Has 3D brown abstract geometric shapes from cubes over the gradient background. IT has images of 3D shapes made from cubes arranged one above the other, an illustration where cube assembling from blocks.